One of the critical components of a lead generation strategy is creating effective landing pages. Essentially, landing pages are web pages that prompt the visitor to provide their contact information by filling out a contact form, or a lead-capture form. In exchange for their information, a business will offer the visitor something that addresses an interest or pain point, such as access to a webinar or an eBook. Beyond these basics, though, the details of creating a really great landing page can get a little confusing, maybe even maddening. But, hey, we’ve got your back. 1. Take the time to craft a strong headline. The headline is likely the first thing a potential lead will see, and, as we’ve discussed before, you only have a few seconds to convince your visitor to stick around. Keep the headline consistent. The headline should obviously relate to the copy that led the visitor to your landing page. Play up keywords. Address the topic that caught the attention of your potential lead in the first place. Create a sense of urgency. Use dates to highlight the timeliness of your offer, creating the sense that your visitor needs whatever you are offering NOW. You want to limit distractions for your visitors because your ultimate goal is to get their information and increase your lead conversions. This is why it’s best to limit visitors’ opportunities to click off of your landing page. However, it’s a good idea to put navigation on, say, a “thank you” page after they’ve converted so that they can learn more about your company and maybe even convert on another offer. You want to avoid a generic CTA that simply says something like “Submit”. Studies have shown that this approach isn’t all that successful. Instead use something personal and specific like “Start My Free Trial”. 4. Keep your conversion form simple. Use the least number of fields possible. Implement Smart Fields. Smart Fields recognize repeat visitors causing the fields to disappear. This way, visitors don’t have to fill out the same form twice. Implement Progressive Profiling. This allows you to ask for different information at different times so that you can always keep your forms short. The task of your landing page is to convince your visitor to do something. And, eeek! You only have a few seconds to do the convincing. So, you’ll have to experiment with wording, design, offers and other components before you see the results you want. In addition, as your industry and buyers evolve, so should you landing pages and their corresponding offers. This is just the tip of the iceberg. 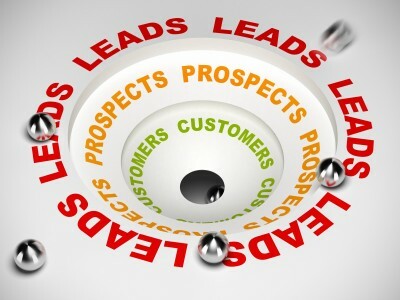 Dying for more best practices in online lead generation? Check out more information about landing pages, calls-to-action, and implementing workflows.